BERLIN (Reuters) -- Mercedes-Benz had its best month for vehicle sales in the company's 88-year history in September, benefiting from the release of new models and surging demand in China. The growing popularity of Mercedes' compact models and the revamped flagship S-class sedan helped to boost brand deliveries by 14 percent last month to 162,746 vehicles, an monthly record, parent Daimler said today. Nine-month sales at the brand rose 12.5 percent to a record 1.19 million. Mercedes also posted its best-ever quarterly sales between July and September of just over 412,000, up 12 percent from a year earlier. 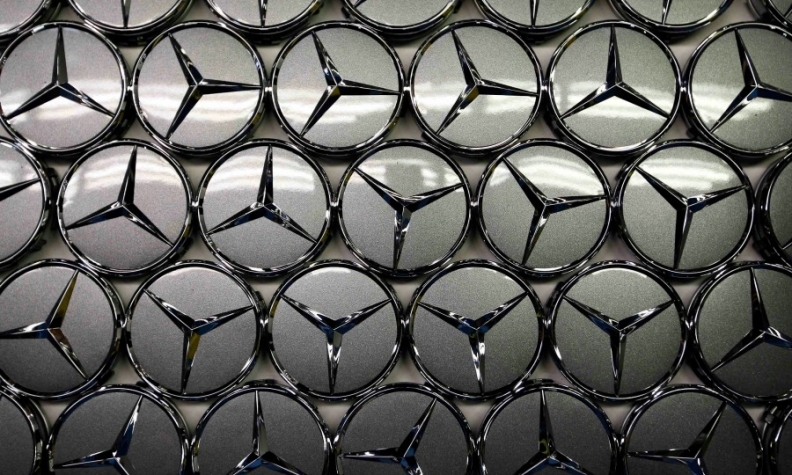 Daimler is due to report third-quarter financial results on Oct. 23. Mercedes, the world's No. 3 premium automaker by unit sales, is rapidly improving its performance in China where vehicle sales surged 30.5 percent through September to 203,485 models, with September alone up 24 percent. That compares with 11 percent growth in 2013, the first year after Daimler had fixed competing sales channels in the world's biggest auto market and created a new management board position responsible for Chinese operations. Sales in Europe rose 8 percent to 534,263 in the first nine months, but in Germany, the brand’s deliveries were flat, rising just 0.1 percent to 191,205. In the U.S., Mercedes’ biggest single market, deliveries jumped 8 percent to 233,211 in the same period. Analysts have said the launch in March of Mercedes's new C-class sedan and the GLA compact crossover may pave the way for further improvement in the second half, while last year's overhauls of its S class and E-class models should continue to do well. Mercedes, which slipped behind Audi in 2011 in the global premium sales race, has a goal of pushing brand sales "clearly" above last year's record 1.46 million cars. Sales of Daimler’s two-seater Smart city-car plunged 21 percent in September to 6,770 units, as customers awaited a new generation of the minicar, due to hit dealerships next month. In the first nine months, deliveries were down 9 percent to 66,870. Mercedes' rivals Audi and BMW, aiming to boost 2014 sales to over 1.7 million and 2 million or more respectively, are expected to publish September sales later this week.